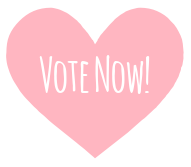 We're appealing to all Obaby Mums and Dads to pop some of our brand favourites a vote or two in this year's Loved by Parents awards! As well as being shortlisted for 'Best Family Brand' (Beyond excited!) and having 3 of ABC Design's products from their 2015 cutting edge collection in the running, our Obaby Chase and Zezu Multi Tandem have managed to be shortlisted in 3 categories each! The Loved by Parents awards are determined by your votes, so why not spread the love by popping us a couple and sharing this with your friends and family? Let’s hope that the thrill of the Chase gets parents voting for our bold follow on from the popular Chase Pramette! With the same lovably lightweight frame as the pramette, the Chase 3 in 1 dares to be different, adding a splash of style with its bright and brilliant zigzag design, available in orange and lime. The main seat unit is suitable from six months and keeps baby cosy with a snuggly matching head hugger, fleece footmuff and shoulder pads. The Chase can be there with you from day one, with the optional addition of a striking zigzag carrycot for carrying tiny babies, and various compatibility options to give the model the versatility of a travel system. Add a creative pneumatic compact fold for mum and dads on the go and we think we have a recipe for success! Our Zezu Multi Tandem is a go-to option for parents needing a stylish, adaptable and multifunctional answer to the modern pushchair. 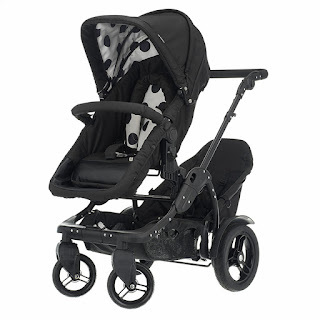 Balancing great design with oodles of thoughtful features, the Zezu cleverly meets the complex demands of growing families - transforming from a pram suitable from birth into a forward or rear facing stroller, with no need for an extra carrycot! The Zezu Multi also offers plenty of inventive solutions for those with double trouble, with a unique Multi Tandem Kit included in the package. This provides a toddler seat and ride on board, either of which can be built onto the rear of your Zezu to suit your family. 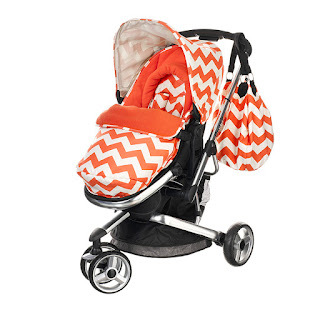 With a super-convenient travel system option as well as a selection of clever features, the Zezu is there to help your family battle the every day!